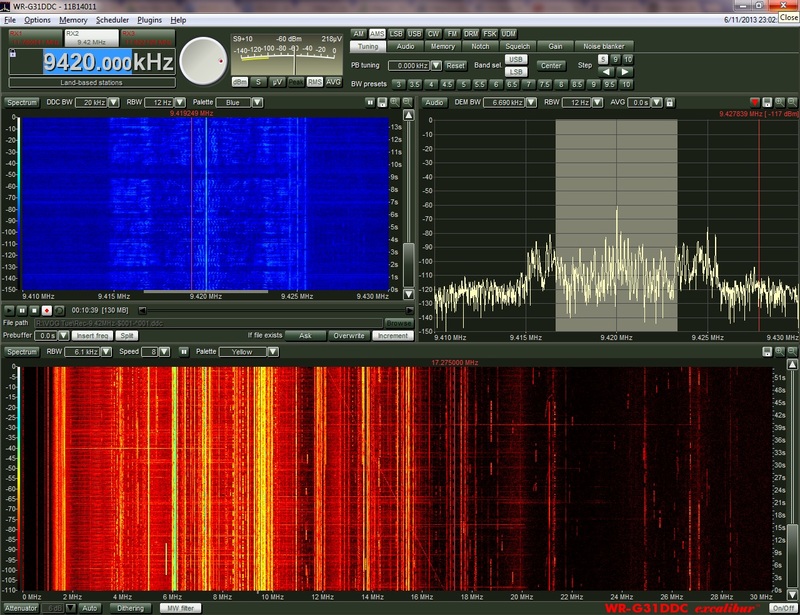 Screenshot of my WinRadio Excalibur receiver with frequency centered on the Voice of Greece. The Voice of Greece did go off the air earlier today in conjunction with the closure of ERT, (Greek State TV and Radio). As we monitored Voice of Greece frequencies, we noticed that their AM carrier was still present well past 21:00 UTC (midnight in Greece), though we heard no audio. It’s currently 23:10 UTC and I’ve been hearing Greek commentary on 9,420 kHz for almost thirty minutes. I’ll post the recording later. voice signal keeps coming greece shortwave from Spain in 9420 and 15630, but is interrupted, with cutouts for hours, although the two frequencies are being used, 9420 is weak during the day, but continue to emit, 15630 has been heard loud all night, and until 13.40 GTM 15/06, are expected to continue their illegal broadcasts radio programming or television signal one, NOT the end of ERT! Very true it seems! The ERT staff and on-air talent are certainly determined and dedicated to their mission! Thank you for your comment!